The Virgo horoscope 2015 predicts that your calm demeanor will be tested this year. The Virgo zodiac sign is known for collecting all the facts and thinking things through. It is a quality so innate, it is second nature to you. Brush up on your meditation and anger management skills and your uncanny ability to reason. You’re going to need them. Not all is gloom and doom for the zodiac Virgo in the year 2015. In the area of finance, everything looks positive. Cupid favors you this year, but not without a few challenges along the way. The 2015 horoscope love predictions for the Virgo predicts that in the area of love, you will find all your heart’s desires, but not without a few speed bumps here and there. Practice what you do best, patience, and you will be glad you did. The middle of the year will be a good time to get pregnant if you are planning on expanding your family. (Find out baby names for your little one). Love will most likely come in the form of a Sagittarius partner. While you are an Earth sign and Sagittarius is a Fire sign, you may not think this Virgo and Sagittarius is a good match, but don’t discount this union so quickly. The Sagittarius may not be the most level-headed match on the zodiac chart, but their fun-loving, playful nature might be just what you need to keep you on your toes and living life to the fullest. While you, the Virgo, will keep the Sagittarius grounded and accountable. In this zodiac match, the two of you might find yourselves outside of your usual comfort zones. But with that comes growth and the opportunity for new experiences. So, when your Sagittarius partner announces the urge to bungee jump or sky dive, go for it! You can accept the invitation with confidence, knowing the two of you weighed the pros and cons before embarking on such an adventure. 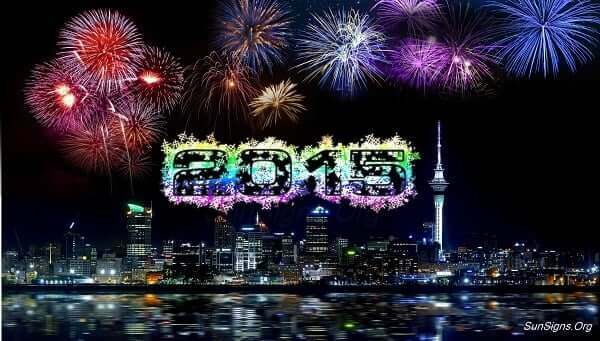 Capital gain is the theme for you this year, predict the Virgo astrology forecasts for 2015. Look for a promotion in your job in early spring. Your listening and reasoning skills will pay off, quite literally. Stand back and be objective as you watch those who have gone before you not quite hit the mark in the area of career. Learn from their mistakes and you will soar up the corporate ladder in no time. New business ventures too shall prosper. The 2015 Virgo horoscope also forewarns you to watch your pennies in late spring. You will have an urge to reward yourself with a new toy, such a new car or boat. But wait until mid-summer to do so. Make sure you have all your finances, including old debt, in order and taken care of. Then you don’t have to lie awake at night with buyer’s remorse as your bed partner. If you usually play the lottery, don’t invest much of your earnings in 2015, as you will benefit the good old fashion way this year through hard work and diligence. The Virgo horoscope 2015 foretells that your physical health serves you well in 2015. Your even-keeled attitude and knack for gathering all the information before taking action, keeps things in perspective, including your blood pressure. Kudos to you for being cool, calm and collected. (Know more about the Virgo man). On the other hand, your mental health will not fare so well if you don’t adhere to the strict code of conduct. The Virgo 2015 astrology predictions warn that you need to start practicing patience and utilizing your gift of reason. (Read more about it in the Virgo horoscope 2015). Handle any stressful issues as you always have, by stepping back from the situation and taking all things into account. These tools haven’t failed you yet and are the reasons the Virgins have the reputation of being level-headed. January 2015 might see the Virgins struggle with work and life in general. You might get irritated that you are not being able to keep up. Give yourself time and everything will be fine. February 2015 will be a month when you would like to be surrounded with people you love. This interaction will do you a lot of good in the long run as otherwise you prefer to be alone. (Also read the corresponding Rooster horoscope 2015 predictions). March 2015 is a good month to start a new business venture. The 2015 Virgo horoscope predicts that it would be a good idea to take on a new partner to help you out. April 2015 sees you being very touchy and sensitive. The smallest of issues seem to trouble you a lot. Maybe you need to take care of your personal problems right away before it is too late. May 2015 The month of May will see you questioning your agenda in life. This might just be a temporary phase or it might truly be the right time to listen to your intuition. June 2015 will see the Virgo zodiac sign become more accepting and positive in their attitude. This is needed if you wish to become a leader. July 2015 might be a month when you might get a little aggressive in your behavior. Remember, your harsh words can hurt another soul. So think before you open your mouth, warn the 2015 predictions. 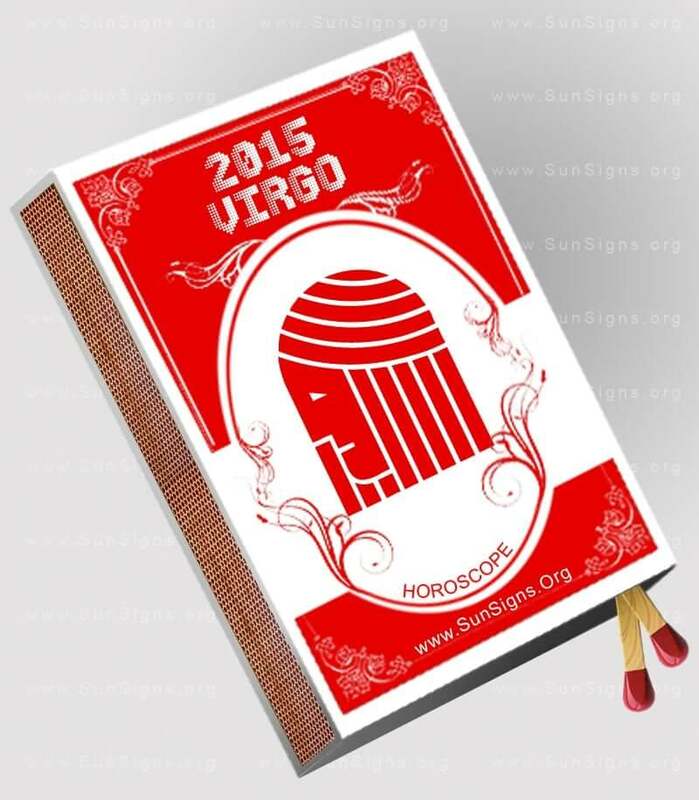 August 2015 will turn out to be a fortunate and favorable month for the Virgo. The 2015 Virgo zodiac predictions foretell that you need to keep an eye out for opportunities that come your way. September 2015 calls for some tight budgeting and control of unwanted expenses. Do not let your finances get out of hand. October 2015 will be a month of activity. Be sure to take part in some physically tiring sport as you will be highly energetic and this might have an adverse effect on your life. November 2015 will see you take extra interest in the lives of your loved ones especially your siblings. You feel something needs to be put right but you cannot put a finger on it. (take the sibling compatibility test). December 2015 is a good month for renovation of office or home. Do away with stuff you don’t need so that you home as well mind is uncluttered. The 2015 Virgo horoscope forecasts a year of new opportunities, chances and experiences that can change your life.